A fireplace adds warmth and charm to your home, filling the area with comforting light and heat. When working properly, a fireplace can feel almost maintenance free. The smoke rises; out of sight and out of mind. This can be especially true for gas logs or oil fueled fireplaces which often operate with the flick of a switch or a turn of a key. Did you know that all fireplaces need to be cleaned once in a while to ensure that it is in good working order? It is recommend that you get yours inspected and cleaned at least once a year for proper maintenance. A fireplace cleaning by a certified professional can help extend the life of your fireplace unit by removing harmful chemicals that can build up in your chimney. 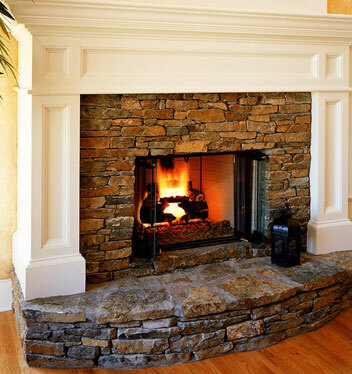 Each fireplace cleaning includes an inspection to ensure that the entire chimney system is in safe operating order. With over 40 years of experience, you can trust our team of professionals to get the job done! What Happens During a Fireplace Cleaning? A certified technician will brush all accessible areas to remove any built up soot and creosote in the venting system. They will then inspect all visible portions of the chimney, looking for potential damages that need repair. Although this can be a messy job, your home will never be compromised in the cleaning process. Great precautions are made to catch and collect the soot before it ever enters your home using drop clothes and vacuums. The whole process takes about an hour, and when it is done you can feel secure in using your fireplace again. No matter how low maintenance your fireplace may seem, it is important to have yours inspected annually to make sure that it is in good working order. A dirty chimney is not just unsightly, it can be dangerous! If you are concerned about the status of your chimney or fireplace and want a professional inspection, we can help! Our certified chimney sweep professionals can both inspect and repair any chimney or fireplace issue in your home. Call us today to get a free estimate or schedule an appointment. Whether you need a simple cleaning, repair work, or a brand new fireplace or chimney, you can count on Clean Sweep Chimney. With over 30,000 chimneys serviced over the years, we are one of the most experienced and longest lasting family owned companies in St. Louis. 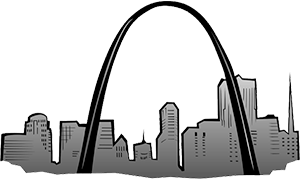 Let us help you with our St. Louis chimney services! Call us at 636-477-9966 or click below to send us a message and get a free estimate on your next project.